Ready to Make the Leap to CORD and ONOS? Demonstrating the power of open interface connectors and the Software Defined Access anySDN architecture, OFx marks the first time CORD has been extended to a commercial OLT system, allowing service providers to move forward with plug-and-play adoption of CORD (Central Office Re-imaged as a Datacenter) for production networks. Calix OFx Connect makes the connection between the OpenFlow ONOS SDN Controller and native AXOS NETCONF/YANG systems, opening the gates for rapid integration of AXOS, the world's only true Software Defined Access platform, into ON.Lab ONOS and CORD networks. Calix and Light Reading discuss “How Microservice Architecture and Virtualization Can Make Legacy Access Systems SDN-Ready." 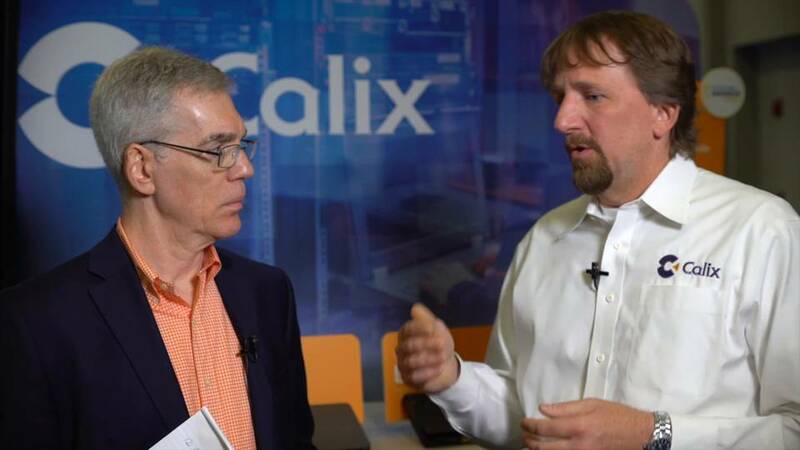 Alan DiCicco, Calix Solutions Marketing Senior Director discusses end-to-end R-CORD broadband network solutions leveraging the AXOS software platform. Calix, Radisys, and SDxCentral discuss Software Defined Access and virtualization of the central office. CORD combines SDN and NFV to create an elastic datacenter-inspired central office that speeds introduction of new services for residential, enterprise, and mobile markets. The vOLT-HA (Virtual Optical Line Terminal-Hardware Abstraction) software module within the OpenCORD project expedites commercial availability of next generation central offices. AXOS OFx Connector and the vOLT-HA software are a critical abstraction layer as service providers implement the CORD architecture. They act as isolator and translator between vendor agnostic OpenCORD software and vendor-specific management and control interfaces. Calix industry leadership and innovation extend into the open source community through contributions to ON.Lab ONOS and CORD, and other projects. Want more info on Calix participation in CORD/ONOS and the new OFx Connector? Please contact us and we will be in touch soon.